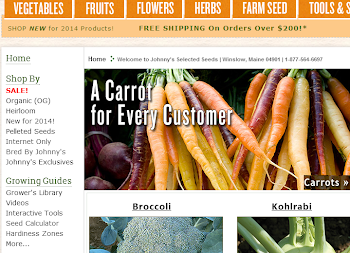 Growing Ideas with Johnny's Selected Seeds: The Horror! It's under the tree, looking out at you. Ready to destroy anything in his path, and make your life miserable. Anything green, that is. 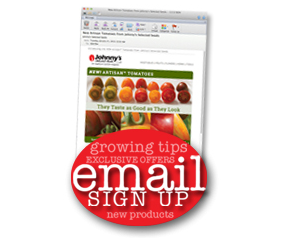 Anything tender, growing in your garden, whether it be a prized perennial or a delicious lettuce. From alfalfa to zucchini, it will eat it all. Hide the green beans and put the kids to bed! It's coming!! 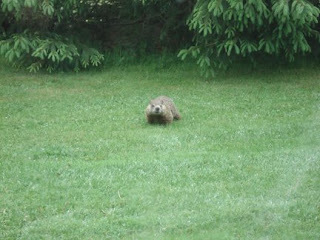 Yes, it's a groundhog. And it's ready to make every gardener's life a living you-know-what. But isn't he cute? 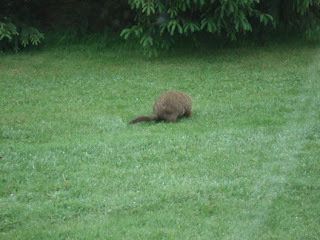 Quite a prime specimen, this Marmota monax (aka whistle pig or woodchuck). And it's safe, here at Johnny's. 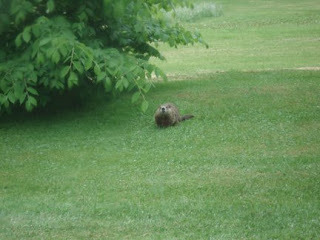 It lives outside our office building, far from the farm, and nibbles on grass and leaves. It is generally entertaining, and not a pest at all. We've come to enjoy its company, in fact. And it's clearly eating well. 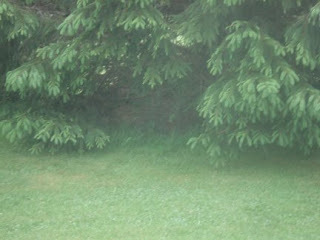 ...Btw, gettin' ready to plant Johnny's pumpkins seeds soon! Whoa! Should be make sure Lucy has protection when she goes out for walks with people? 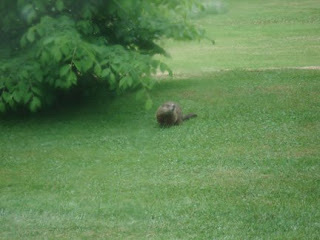 LOL I think the woodchuck could take 'er! Although she's pretty feisty! What beautiful pictures of that cute little creature... That is one I don't have any trouble with either. The dear are my enemy!!! thank goodness for electric!!! Have a great week. You'll have to look at what learks in my garden, her name is Miss Petunia!!! 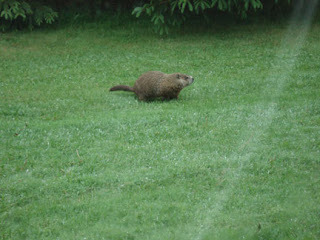 That was cute, of course I don't have one eating my garden either.